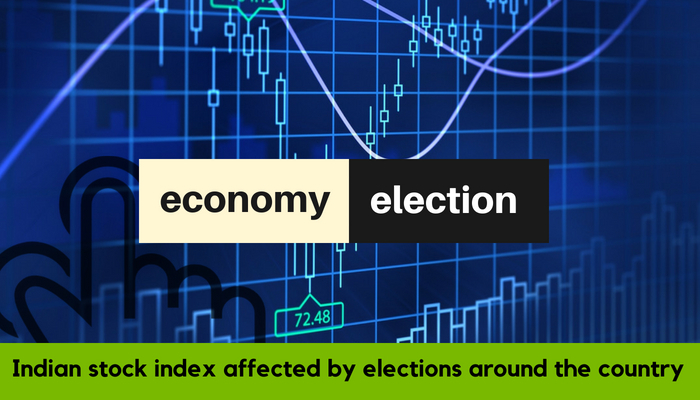 In 2019 as the general elections are approaching and the state level elections going on all around the country, the stock market is affected by the same. Trading most of the time is done on speculation, anticipation of anything positive or negative happening around. Elections plays a big role in deciding the share market assumptions for the next few years. In India, the BJP is seen as a market investor friendly government as its policies are widely oriented towards the freebies of government. There is a positive buzz around this government, which helps in bringing back the investor interest in stock market. Election impact the short and long term market movements both. The outcome of the elections will turn to be the decision maker in the polices and hence influence the trading. The government that is chosen will decide the economic reforms. Experts predict the actual steps to be taken by the government starting with Budget and Tax Reforms that influence the share market. If the government elected is economy focused them it will yield good results for the market in the end. Many companies get the benefit of the increased projects in the infrastructure, transportation, health and other sectors that the government announces. The whole chain of economic activity gets a boost because of the elections results that includes trading market too. Mainly the trading market is a game of sentiments and if the mood is positive and assured, even the bad news is ignored. Equity markets have been rising in recent time in anticipation of the elections. History informs us that Indian elections are far from predictable. And hence wait and watch is the mantra the trading market is following as of now.